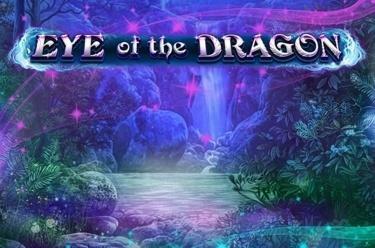 Play Eye of the Dragon online for free now! 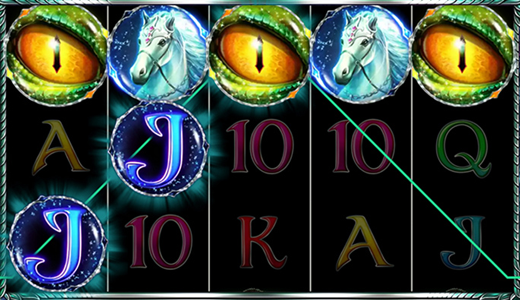 Dive into the magical world of the green dragon in this 5-reel slot with 10 win lines. The red-headed girl pays out the most. The aim of Eye of the Dragon is to line up five identical symbols across ten win lines from left to right. The Dragon’s Eye is both the Wild and the Scatter symbol in this game. You can unlock ten Free Games along with expanding symbols by landing three or more Scatters on the screen. The special symbol is selected at random before the Free Games begin. If the pre-selected symbol appears on one of the reels during the Free Spin round, it will expand to take up the complete reel and pays in any position on the lines played. Enter a magical world ruled by dragons in Eye of the Dragon, and go on an extraordinary quest to find the fearsome green dragon. Treasures beyond your wildest dreams await the brave souls who can you stare this awe-inspiring beast straight in the eye and survive!